I didn’t run as much as I’d planned to in Japan. In fact, my running was limited to the running tour that we did in Tokyo at the very start of our trip. 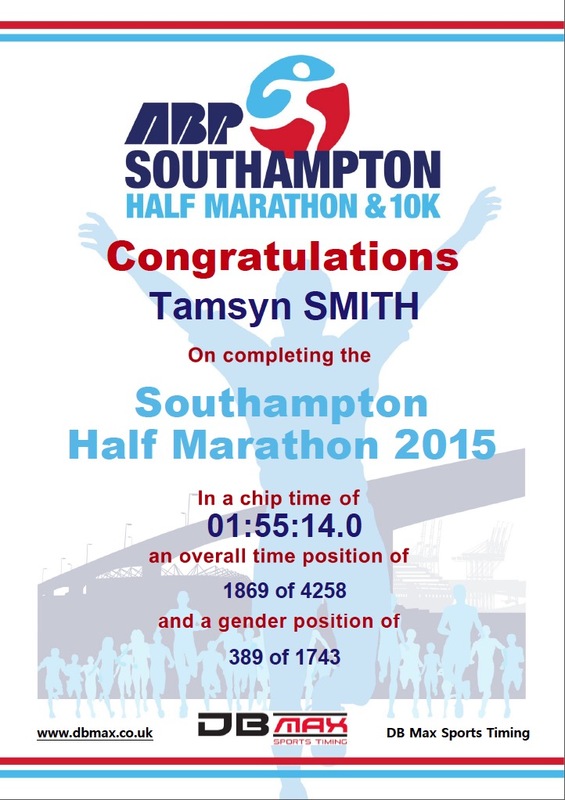 Since returning, I’ve struggled with jet lag and laryngitis, so I was a little apprehensive about doing Southampton Half Marathon. I did parkrun in Cornwall last weekend, and only just got under 30 minutes, which is significantly slower than I expected. I was worried that I wouldn’t be able to complete the half marathon distance. On Monday, I asked my friend Teri to go for a run with me. The short run to Teri’s house (<2km) was really hard and I struggled to get under 7 minutes a kilometre. I had said to Teri that I wanted to go for a 60-90 minute run, but I tried to revise that down when I spoke to her husband. Fortunately, Teri was keen to go for a longer run as a bit of stress relief, so I was persuaded to go for 90 minutes. 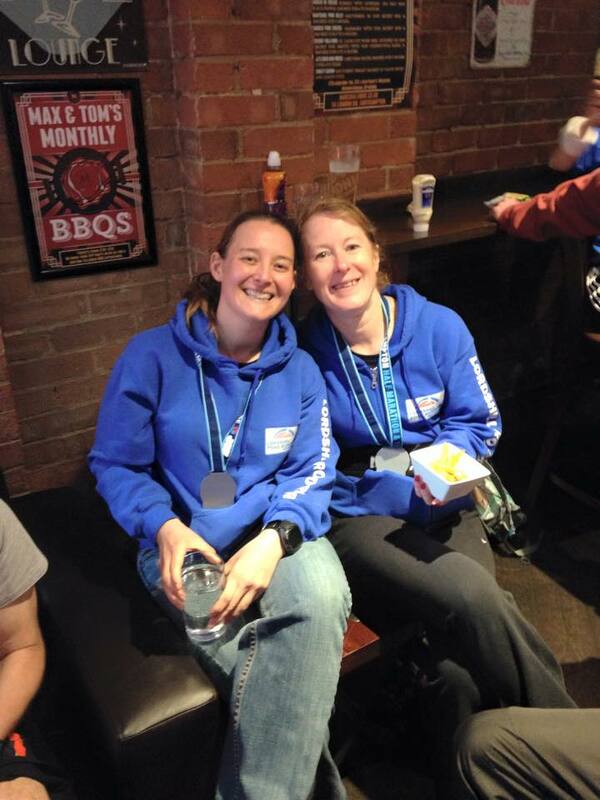 We chatted for the whole run and gradually picked the pace up, so although it wasn’t fast, I managed to do 10 miles and didn’t have any aches, which reassured me that I should be able to finish the race, although I revised my goal to 2:10. I was sensible for once and rested all week, although I had forgotten that I had booked a sports massage for Saturday afternoon. It was one of the most painful massages that I have ever had. That’ll teach me for cycling miles every day and not stretching! This morning, I woke up early as Stuart was doing London Marathon. However, although I had intended to be the supportive wife, after a quick chat and a cuddle, I turned over and went back to sleep for another hour and a half. I made breakfast (apricot and almond porridge) and dressed quickly, so I was ready quite early. Teri had contacted me to agree to meet early, so I set off to walk to our meeting spot. We intended to walk to the start of the race. Just as I got to our meeting point (by a crossroads), a car pulled up and Teri shouted for me to jump in. Teri had been picked up by our club mate Jonathan, so I was happy to accept the lift. We arrived just before the start of the 10k race, so we stopped by the side of the road to cheer the start of the 10k race and then went and collected our race t-shirts. After that we headed over to where the LRR flag was set up… with a brief stop along the way. There was the most adorable black pug with her owners, so I had to stop for a quick hello! Then it was off to meet the rest of the Lordshillers and time for a team photo. I also spotted my friend, Jez, just back from our trip to Japan. It seemed like everywhere I looked there were people I recognised! As the queues were quite long, Teri and I headed over to the baggage tent early, and I reluctantly handed in my hoodie and rucksack. Teri had brought a bin bag with her, but I hadn’t thought to pick one up. The temperature was ideal for running, but a little chilly for standing around in. We headed over to the start and managed to make our way to the front of the 1:45-2:00 pen, where Teri snapped a quick selfie of us. Before long, the countdown was on and the race started… but it took a little bit of time to cross the starting line. It was an uphill start, but I felt a burst of adrenaline and was excited to get started. I absolutely love races where there is crowd support and this race did not disappoint. As we headed onto the High Street, I said to Teri that perhaps I was going a bit fast, but that I would stick with her for as long as I could. Teri pointed out that we were going downhill, so I wasn’t too worried. We headed into Ocean Village for a run around the marina, which was a little congested and slowed to a walk at one point. This may be an area that Marafun need to rethink for next year. However, a staggered start may be enough to ease it. We arrived at the Itchen Bridge faster than I realised. Teri quickly pulled away from me, but after my illness, I didn’t think it would be wise to push the pace too early on, so I let her go and focused on keeping my pace under 5:38/km, which was what I needed to do to ensure that I finished under 2 hours, as I had started to believe that I might be able to manage that. 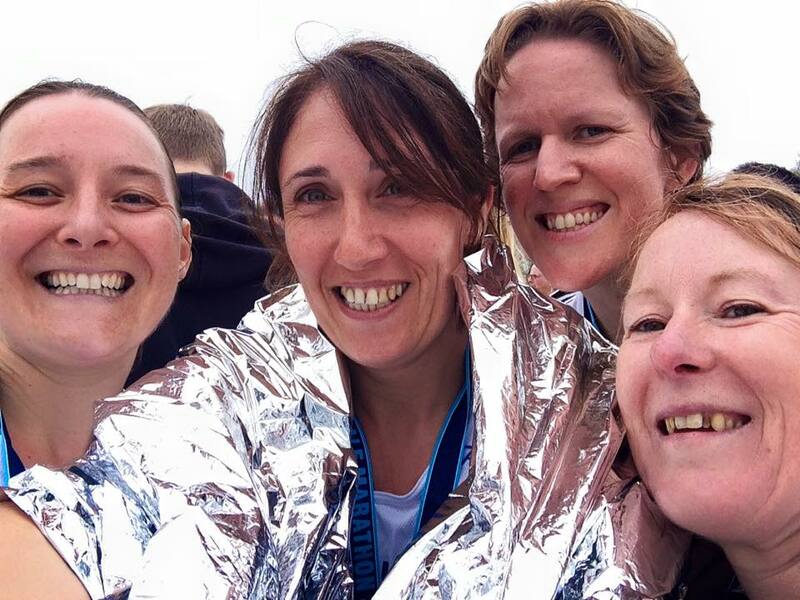 In training, I have hated running across the Itchen Bridge and have often slowed my pace down or stopped for a quick breather, but I focussed on watching out for people I knew on the other side of the road, which distracted me from my discomfort. After the turnaround, I was able to see who I was ahead of… not necessarily ‘beating’ as they may have started considerably further back than me, but friends who run at a similar pace to me. The support continued as we left the bridge and headed around past the Saints football stadium, before heading onto a part of the run that I have found tough before. Previously, I have started the run from on Southampton Common, so I wasn’t as tired as usual at this point, which was in my favour. It was also great to see Dan, one of my club’s finest runners, cheering people on. There was a slight incline, but the support of the crowd meant that I didn’t notice it. I also focused on smiling at the supporters to show how much fun I was having… as well as watching the technique of other runners, which distracted me a bit. I also saw parkrun Jill go breezing past. She really makes running look effortless! We continued through Bitterne triangle and into Riverside Park, where again there were many supporters cheering us on. I’m wondering whether some of them were people who had been there since Junior parkrun finished. Although the weather was cooler than of late, I made sure that I took on some water at every drinks station and poured some over me to keep my temperature down. At 10km, I had an energy gel. It allegedly had caffeine in it, but I didn’t notice any benefit. The 2:00 pacer passed me, but from looking at my watch, I could see that he was running significantly faster than was necessary, so I wasn’t too bothered. I knew the toughest part of the race (Burgess Mountain) was yet to come, but I was confident that I had done enough earlier in the race that if I didn’t slow down too much, I would be OK. There were many church groups and bands on Burgess Road, which helped me to maintain a steady pace, and before long, I was at the top of the hill. It included my slowest kilometres, but my average pace was still fast enough to finish in under 2 hours, so I felt motivated. Running along University Road was great, I saw several work colleagues and there was great support from some student groups. I loved the run down the hill, even though I knew that there would soon be another 90-degree turn and then a hill up to The Common. I told another runner that the hills were over. I had completely forgotten that we still had to run up the hill on The Common – oops. We ran through the underpass, which seemed incredibly dark – I’m sure it’s not normally that bad. Then I powered up the other side. I knew that some people I know intended to be somewhere in the area and I didn’t want to be seen slacking off. There were lots of people that I knew on The Common. The supporters including Steve Robinson and his children, Teri’s children, my work colleague Lorrayne with her daughter and Dean with his daughter. My breathing was feeling a bit strange. I decided to give it to the top of the hill before getting out my inhaler. Luckily, I didn’t need to as the support helped me to feel good and it settled down again. I love running downhill, so I was really pleased to have reached the highest point of the course. 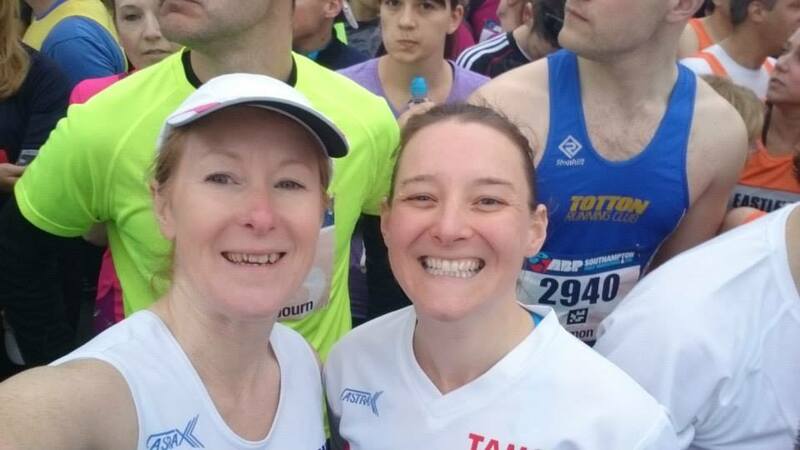 I also noticed that I was running near to fellow parkrunner and Sunday Runday runner Kate. She looked like she was having a great time – especially when we passed her son and the rest of her scout group. After we left The Common, I knew there was a small group of LRRs to pass as well as the infamous cake-baker, Lou. Sadly, she had no cakes with her today, but it was great to see all of them cheering people on. Heading down London Road, I knew that I was so close to the finish and I started to relax a little as I was feeling great and was confident that I would get under 2 hours – a feat which I have only achieved twice: at Reading Half in 2012 (1:52:19) and at Gosport last year. I couldn’t remember my time from Gosport, so didn’t have a specific target in mind. I picked up the pace when we started running through the park – especially when I could see where we started. Then I reminded myself that we had to head back up to a finish in Guildhall Square. Unfortunately, there was another hill to be conquered. I was determined not to stop and wanted to enjoy my run back up the High Street. 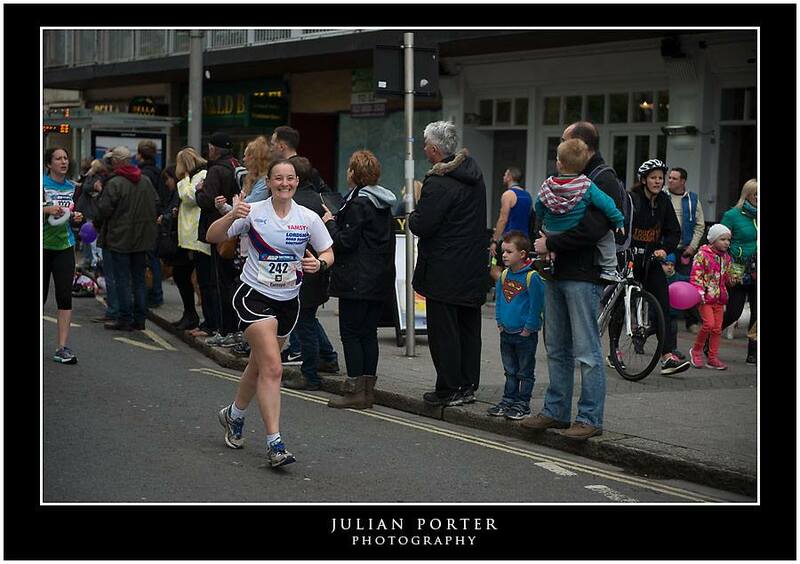 Towards one of the final turns, I saw the beautiful half of Julian Porter Photography (the lovely Sue), so I gave a huge grin, in the hope that there would be at least one good picture of me from the race as I’ve not had many recently. It was then onto the final 100m, where I really picked the time up. I was absolutely delighted to finish in 1:55:14. 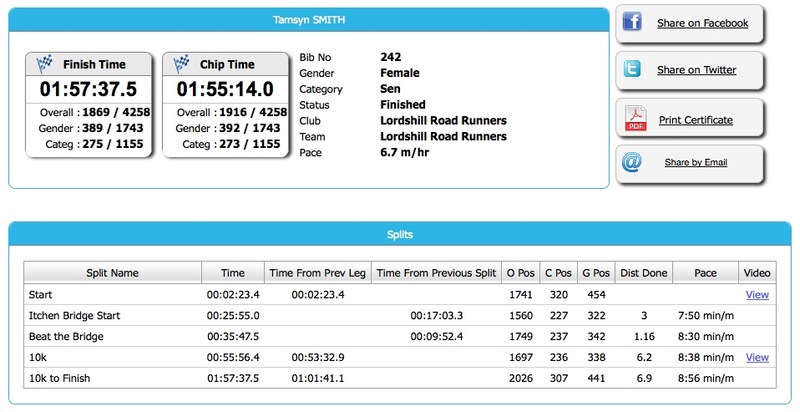 A quick check of my time at Gosport Half last year showed that I finished in 1:57:37. Although it wasn’t a PB, it was my third time under 2 hours, my second fastest time ever and my fastest time since 2012. I am so happy! I’m also really pleased with my stats – I finished in the top 45% (not sure that actually sounds better than the top half). I was in the top 25% of all women and my age group as well. I’ll definitely be entering this race again next year. 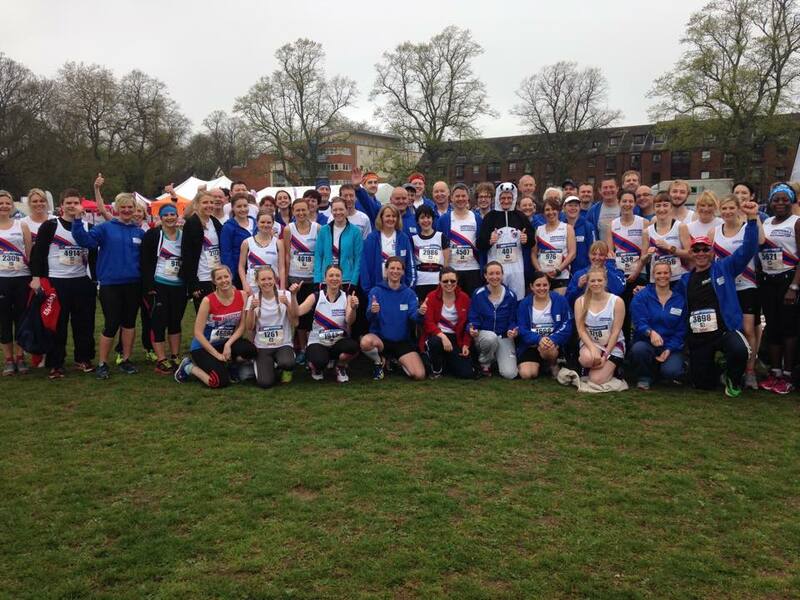 If you want to find out more, watch the video and then visit http://www.abpsouthamptonhalf.co.uk/ to sign up. As an aside, my amazing husband ran London Marathon today. He spent most of the last three weeks feeling ill with a chest infection. I wondered whether he was going to be able to cope with our cycling tour in Japan. Stu did a lot of training for the marathon, but I thought his dream might end in tatters. I am immensely proud of him for not only completing the marathon but getting a new PB of 3:13:47. I’m just sorry I wasn’t there to cheer him on. Amazing time- well done! Those place names all bring back memories! I haven’t been back to Southampton since I graduated in 2006, so I might do this race next year as a 10 year reunion! Well done to your husband too! Well done! Just goes to show that sometimes the best races come off the back of what seems far from ‘ideal’ (and vice versa!). Great write up Tamsyn. Looked like you were having fun when we saw you at the Common. You must be very pleased with your time. A great day for the Smiths with Stu’s time at London too.